If you have seen some of our recent posts, we have featured best purpose-built premium WordPress themes several times like these “food“, “transportation“, and “wedding” ones. Those themes that mentioned there were all premium meaning that you should pay some bucks to use them. But in today’s post, I’ve come up with FREE WordPress school themes. In this post, we have featured 7 best free WordPress school themes. We’ve checked many free themes and selected the best ones for this post. If you have a kindergarten, pre-schools, online training startup, high-school, or even need a fast solution for your college, these 7 best free WordPress school themes come in handy to get your site up and running right away. All the selected themes are free and can be downloaded from trusted WordPress hosts. They are secure, professionally coded and easy to use. 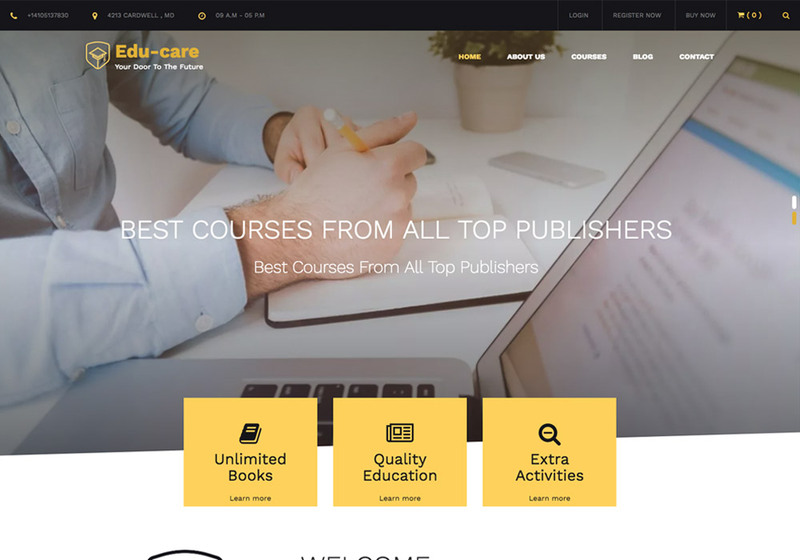 Edu Care is a fresh free WordPress theme with clean minimalistic innovative design best suited for education websites. The design is simply outstanding. Nice typography, impressive colors, and modern look is rare among free themes usually. The theme is capable of tackling the overall needs of all educational institute websites including schools, colleges, and universities. Edu Care is compatible with WooCommerce which is a great feature that allows you sell your products or services on your site effortlessly. it comes with a number of customization options at your disposal to change the theme and make it fit your needs. It also comes with a pro version which costs $49 and unlocks some more features for your education website. 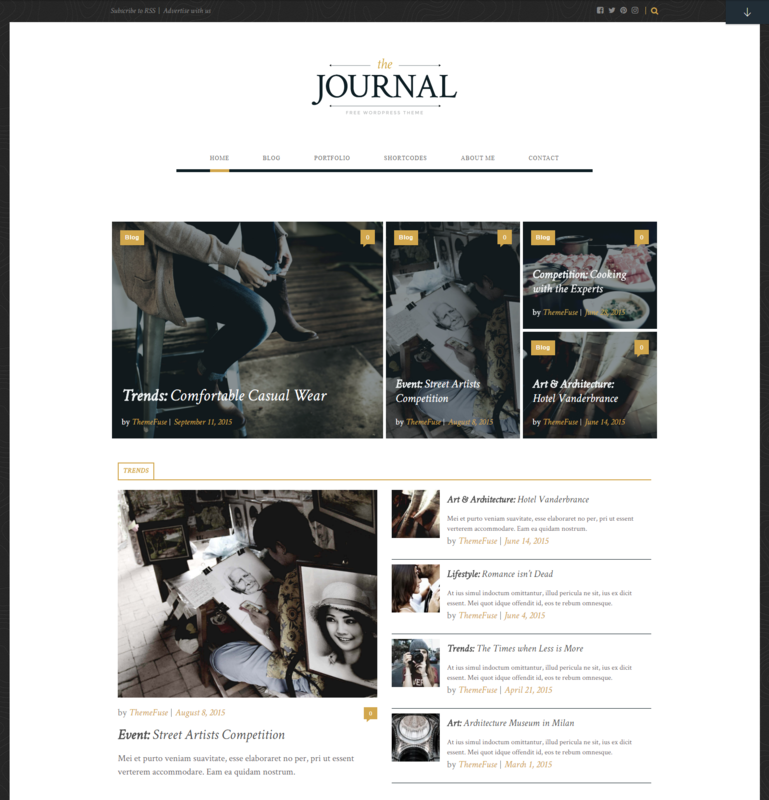 If you are looking to publish some journal for your school or institute then Journal is a clean cut, modern WordPress theme perfect for bloggers, an online magazine or publishers in general. Visually interesting and stylish, while also letting the content shine, this is a hidden gem. The back end is powered by their popular Unyson framework plugin that comes with a bunch of features that will make your live easier like a visual page builder, automated back-ups, styling & typography settings and much more. 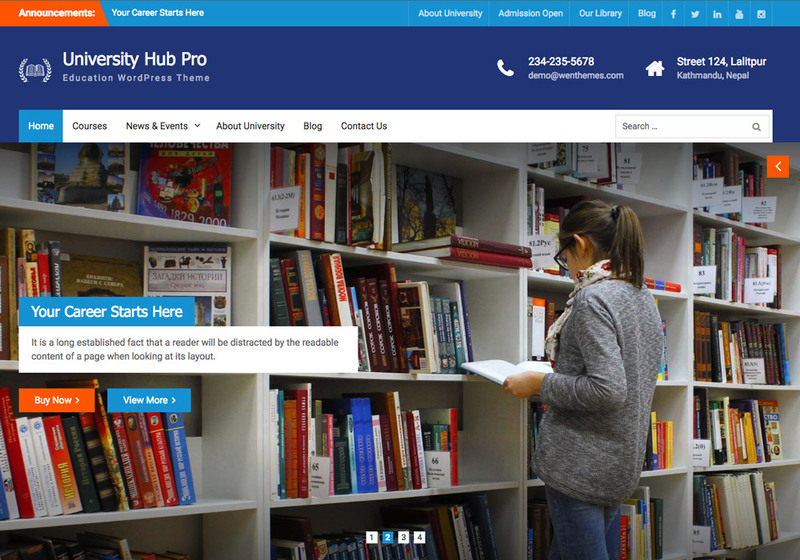 University Hub is new free School WordPress theme released in 2017 has been designed for university, school, college or other educational institutions. It’s built on WordPress native standard features which bring security, simplicity and future WordPress compatibility. The design is simple and functional with a focus on school’s announcements and news. There’s a breaking announcement widget at the top bar for important news, an events section just beneath the slider and a more detailed news section on the homepage. As a free school WordPress theme, it’s a great option for schools or other educational institutions looking to make their websites for the first time. The beauty of WordPress is that it’s possible to use it almost for any purpose. You can use it for your personal blog or as a complex online shop. Thanks to the flexibility and extensibility of WordPress which allows the creative developers make such good products. 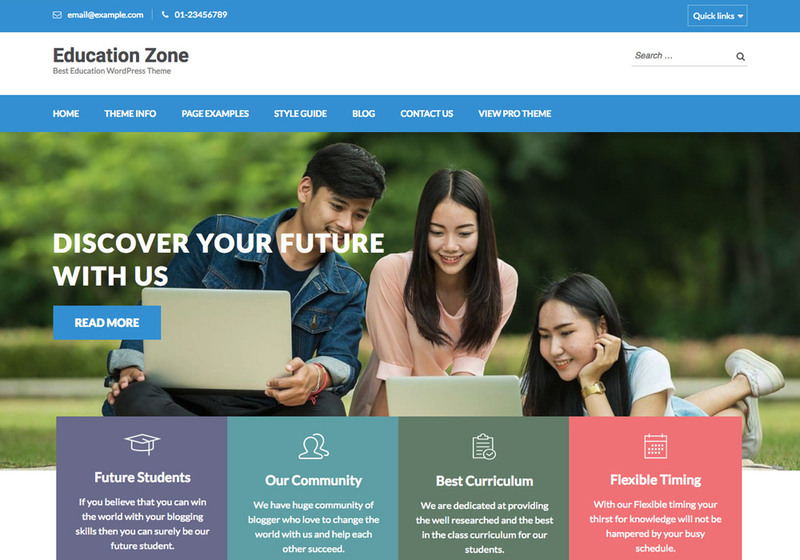 Education Zone is another Free Education WordPress Theme which is a perfect choice for LMS, training center, primary school, high school, and kindergarten. It comes in two version: free and premium. The free version is enough if you’re just getting started your website and don’t need much customization. Education Zone includes several features such as custom menu, attractive banner, stat counter, course section, testimonial, call to action button, and social media all at your disposal to build a user-friendly modern website for your school. Meet EduPress a modern WordPress theme which could be used for education and non-profit websites. EduPress is a great choice if you’re looking to build your school-related website fast yet with a professional look. It’s user-friendly, clutter-free, polished and popular. The theme has two primary sections for user navigation, the topbar multi-level menu, and the menu widget on the left sidebar. Both are created on purpose and have their usages for an educational portal. You can create two separate menus, use the more important one on the sidebar and the next on top. 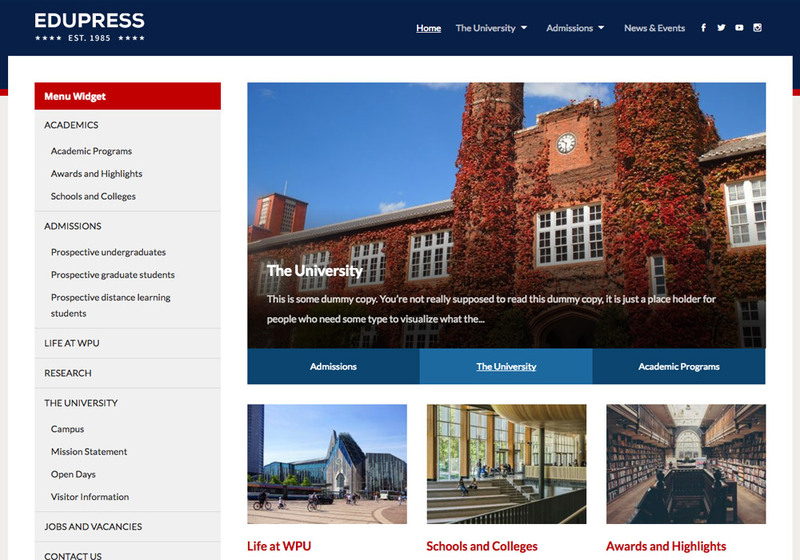 Overall, EduPress is a simple, easy to use, and modern looking WordPress theme which offers a basic them for a local educational institute website. 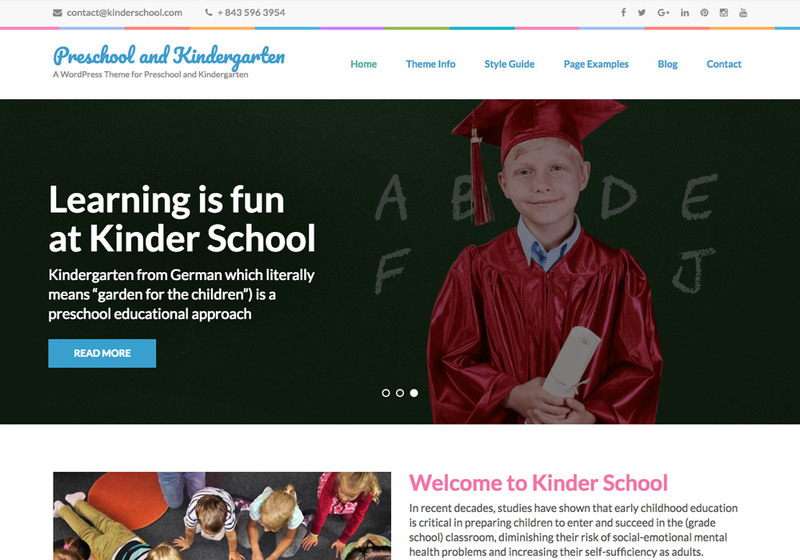 Looking for a colorful beautiful WordPress theme for your kindergarten or preschool? This theme could be your choice. Preschool and Kindergarten theme is mobile-ready and can be translated to any language. It’s wholly customizable with various features and personalization options. It includes several incredible features such as an attractive slider, about section, course section, featured programs, banner, CTA button and more allowing you make a distinct website for your kindergarten. Go and download it for free and see its amazing features in action. 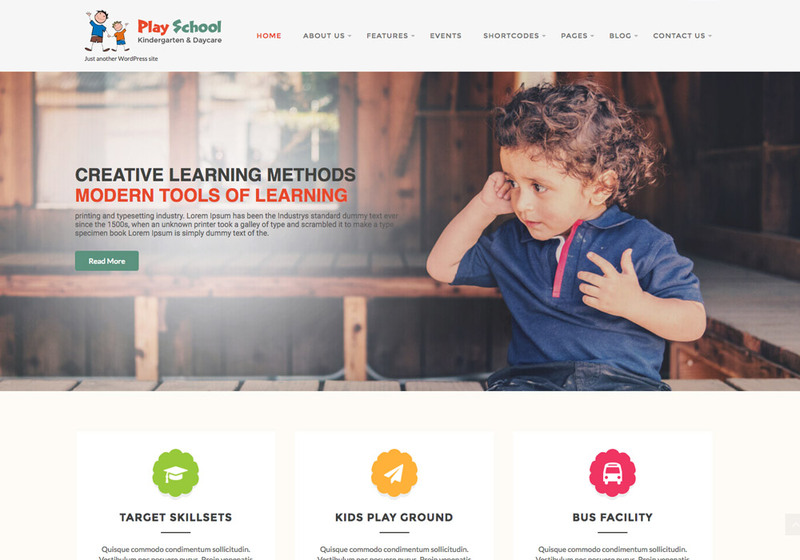 Play School is another exclusively designed WordPress school theme for kindergarten and pre-schools. It comes with a nice full-width slider, amazing elements, and widgets helping you present your pre-school in an impressive way. The theme is very lightweight and fast which is good for your site SEO to bring more traffic. It also supports the essential education plugins like knowledge base, FAQs, and tutorials. Having POT file available, it is translation ready meaning that you can translate the theme to your language and finally it’s based on WordPress native theme customizer which brings effortless customization and personalization for you. 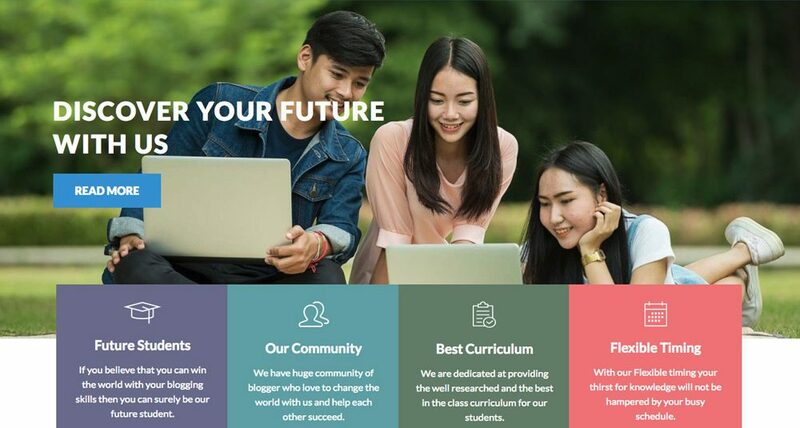 Overall, you can download this education WordPress theme for free and if you like it, you can go with its premium version which offers more customization options. Education Care could be used for a wide range of educational websites such as kindergarten, school, university, college, academic institutions, training centers, coaches, and LMS websites. It stands out from all other WordPress school themes because of its versatile design. It offers some user-friendly incredible features like WordPress Customizer to change all settings of your website, widget section which can be managed by drag-and-dropping, gallery, call to action, feature highlights, stat counter, featured courses and more. The theme also supports WooCommerce which lets you sell your courses online and accept payment in the best way possible.